Electronic enthusiasts and developers searching for an easy way to connect UART devices and custom-made software together over the internet using a single cloud-based server layer. 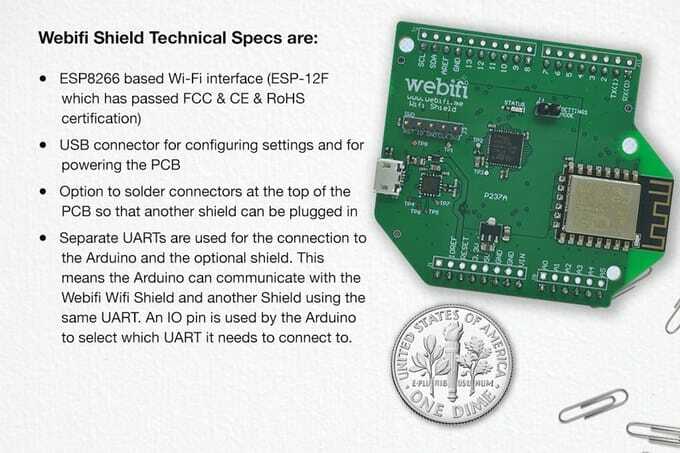 May be interested in a new range of devices created by developer Hubert Jetschko in the form of the Webifi Connect and Webifi Shield boards. Watch the demonstration video below to learn more about the Webifi Connect and Webifi Shield boards created specifically to provide an easy setup and reliable way to transfer data. 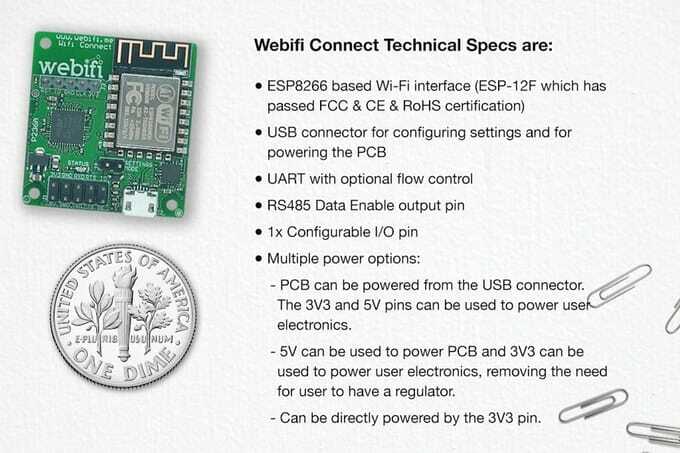 The Webifi Connect WiFi board measures 34.3mm x 36.8mm and is a general purpose PCB where the connection is a 2.54mm standard header connector. 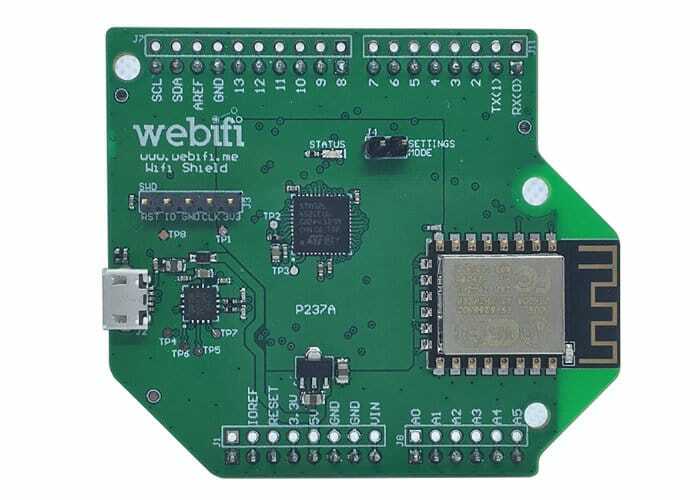 The Webifi Connect WiFi board has been designed to connect easily to most development kits or device that brings out its UART pins to a connector. Check out the specifications of each below. For more information and to make a pledge jump over to the official Kickstarter crowdfunding campaign page by following the link below. Pledges are available from £16 with delivery expected to take place during November 2018.